Did you teach it to do this as a little trick? Did your dog just start this own its own? Or perhaps the dog is a rescue and this is a behaviour that the dog already had. Or maybe your dog is a rescue and has been traumatized in the past by not receiving food on a regular basis. If this happens, it can really get you irritated, which will make the dog more anxious = psychological damage to your dog and to you. Yeap, not so good and definitely not cute any more! SO WHAT SHOULD YOU DO TO STOP THE BEHAVIOUR? FIRST LET’S TALK ABOUT THE PSYCHOLOGICAL SIDE OF THINGS. When your dog demands attention and rewards (whether food, affection, toys, etc.) your dog is taking control of the situation – this is not good, as you have just surrendered control of the situation to your dog and in so doing have lost some of his respect for you as a leader. Please take note this is not the same as when your dog looks at you for direction…in this case your dog is not asking he is telling! If your dog is a rescue, underweight or overweight and you feel sorry for him, you are adding and abetting this bad habit. Stop feeling bad for your dog – this undermines his self confidence and can make him anxious and if your lack of leadership continues your dog can become aggressive reactive…pushiness can grow exponentially! If you are starting to feel annoyed or frustrated with your dog, you are only going to increase his will to bark. Your lack of control of your emotions reinforces his understanding that you are not in control of the situation. More reason for him to take over! If you yell at your dog to stop barking – you are barking too, and that is leading by the wrong example. Please do not say to your dog ‘would you just stop that!’ or I wish you would stop doing that’, or ‘you are bothering me, quite it!’ If you do this you are not providing direction, nor are you embracing the role of leader. You are whining and complaining not providing direction! 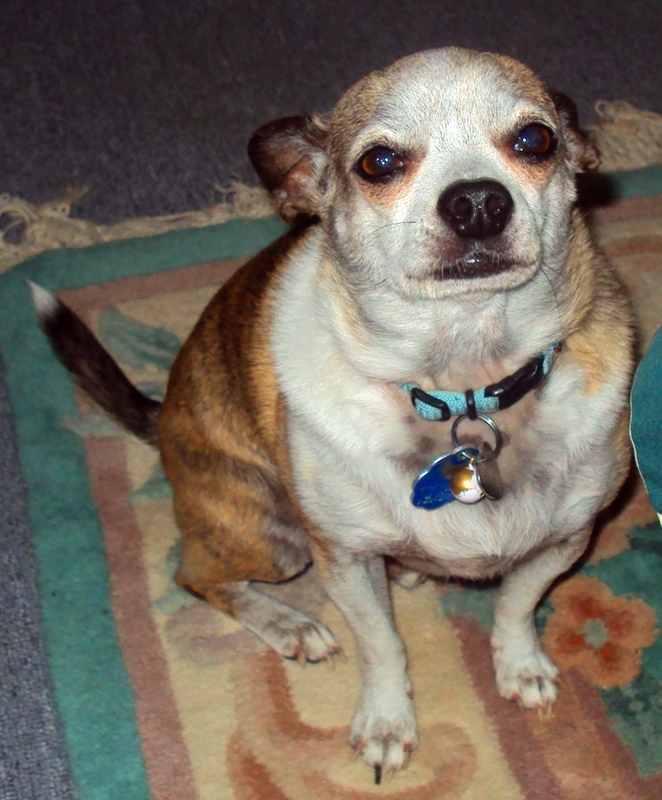 When we whine instead of direct, we give our dog a choice – you can listen to me or not. Just like humans, most will choose the ‘not’ option. Before you read any further – read these two articles. They will only take you a few minutes to read – but will really improve your understanding of how dogs assign respect to their humans and how our state of being can either work for us or against us in our endeavor to direct our dogs. Train yourself, coach and mentor your dog. If you ask the right way your dog will listen – he does not need to be trained…but you do! Get your emotional state under control, engage your working mode on and let’s go. First – remember that your dog has been doing this for awhile – I have the experience to make change immediate, you probably do not so be patient. Be calm, be deliberately confident, be assertive but fair, and have the expectation in your mind that your dog will listen. You need to be consistent, persistent and100% committed to the direction you provide (your dog knows when your are not!). Your will must be stronger than your dogs. 4. Following through to correct him if he backslides into the unwanted behaviour. The leadership role is one of coaching and mentoring with fair, firm, clear direction. Never match your dog’s state but you do have to match the intensity of his behaviour. I see a lot of people doing only step 2. Then the poor dog gets in trouble as it goes back to doing the unwanted behaviour as its human has not provided a full set of instructions! Blame yourself, not your dog! – Or quickly tap your fingers once against your dog’s waist or neck to get his/her attention and say ‘no’, ‘uh’ or ‘shh’ – and please never touch your dog in this way if you are angry, the point if not to punish your dog, the point is simply to get your dog’s attention focused back on you polity and respectfully. be disengaged, you must be calm, assertive-confident, never angry, frustrated etc. Secondly, your dog should not be in your food prep space.When your dog learns to sit and relax quietly you can relax the rule, but for know he needs to exit stage left! The approach you take to communicate to your dog should depend on the sensitivity level of your dog. Some dogs see touch as an engagement to converse, be excited. Other dogs see voice as engagement. Engagement gives the dog the opportunity to argue and debate the situation with you – that is not what you want. You want to disengage and direct. If your dog is very sensitive pointing your finger and calmly saying ‘out’ may be enough. If your dog is less sensitive and fully committed to perusing his course of action you need to intensify your direction to him. The best method is to simply use your body to herd your dog out of the space and then show him where you want him to sit/lie down. This is using dog language rather than human language – a very clear and effective way to communicate. If your dog gets up simply herd him back to the desired location. It is better not to talk, touch or look – just herd. If your dog begs for food, you can use the same technique to discourage the begging. Remember that when we develop a habit it takes time, effort and commitment to get rid of the habit…affecting change may take hours, days, weeks or more. So to with dogs. Further, your strength as a leader and affective communicator will determine how quickly the behaviour can be turned around. I can affect change immediately because I have trained myself to be aware, I use instinct and intuition and have a lot of experience working with dogs in all states of being. You will have to be patient and fair with yourself and your dog to achieve success as your experience is less comprehensive. Not to worry, just boost your commitment to achieving your goal and you will move along at a good pace.